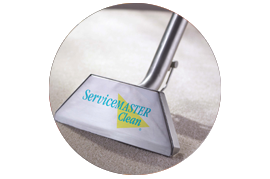 Our upholstery cleaner services in Aurora will be done quickly, safely, and within your budget limitations. If for any reason you have any questions or comments about our upholstery cleaner services in Aurora, feel free to give us a call at 630-896-0030 or fill out the form below and a representative will respond shortly. Our highly trained technicians can perform upholstery cleaning and restoration required due to water damage, mildew growth, charring, and fire damage. Whatever the job, big or small, our upholstery cleaning services in Aurora can handle it. Dirt and dust easily settle into upholstered fabric on often used furnishings in your residential or commercial spaces. On-site dry cleaning is also available for more sensitive fabrics and draperies. An experienced upholstery cleaner will use state-of-the-art equipment and techniques, and an extreme attention to detail to make sure you are completely satisfied. Regular upholstery cleaner services can help to prolong the life of your furniture. Furniture and upholstery are important parts of your home that should be handled with care. Trust us for all of your upholstery cleaner services needs in Aurora. Our upholstery cleaning services in Aurora are considerably more affordable compared to our competitors and will leave your fabrics looking good as new. If for any reason you have any questions or comments about our upholstery cleaner services in Aurora, feel free to fill out the form below and an associate will respond shortly or give us a call at 630-896-0030.